Echelon is instituting a new structured training ride on Sunday mornings departing at 8.35 from East Beach, coached by Jim Garwood. This ride is moderately fast but less competitively-minded than the standard 8.30 ride. It is appropriate for new riders who ride regularly and those seeking to learn advanced group riding skills. The emphasis on steady pacing also makes it perfect for veteran riders who are additional miles without threshold type efforts. Full details on the "ride" page. It was a great weekend for Echelon Cycling! 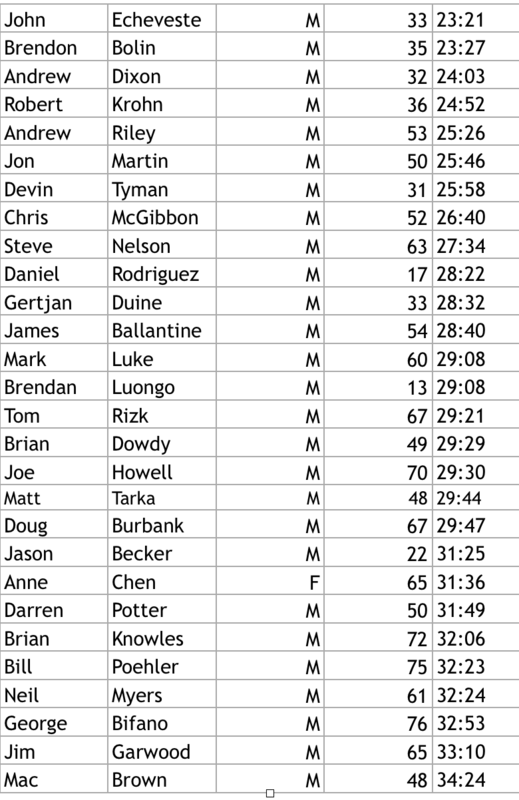 First, we absolutely owned the course at the SB100 (formerly the Santa Barbara Century), placing riders on the podium in several categories for the Gibraltar Wealth Management Challenge (a 7 mile time trial up Gibraltar Road). Echelon riders Bob Miller placed third, Stacia Young placed second, and Robert Elmore placed first in their respective classes, and Echelon won the team classification by over 27 minutes! Best of all, Elite Juniors Ruben Saatjian, Kieran Hook and Case Regan went 1-2-3 in the Men's under 18 class, Ruben placed 4th overall with a blistering time of 39:25, and finished the full 100 miles in a ninth best overall time of 5:28:30. That's an average of over 18mph with over 9,000' of climbing, folks! 2016 membership enrollment is now online! Go to http://www.echelonsantabarbara.org/Join. 2016 dues are $125.00, which includes a credit for a free jersey and socks. Please renew your membership ASAP (before October 24th if possible), as we need to get our clothing order placed. Clothing orders for 2016 will also be online through the Echelon/Voler Team Store. Please read the clothing ordering section of our website carefully, the bottom line is this: after you pay your membership fee we will supply your e mail address to Voler, who will send you a confirming e mail that your membership is valid and your credit is ready to use. Please wait to receive this e mail before ordering clothing through the Echelon/Voler Team Store, or your credit will not be applied. Clothing will ship direct to you, orders received before November 16th will be delivered by second week in January. Socks are still supplied by the team. One pair is included in your membership, additional pairs are $8.00. Remember, Echelon Cycling is a registered 501(c)(3) non profit, and your dues support our Junior's racing program that's helping develop these amazing young athletes. Finally, we're still looking for new members and local business/charitable sponsors for 2015-16. Anyone securing a $500 sponsorship gets a free membership, please e mail the club at this address if you have a sponsorship opportunity. We are very excited about the club, and you are the biggest part of making us successful. We are fortunate to live here on the beautiful central coast region of Santa Barbara. What with the nearly relentless good weather, (till now anyway; we'll see what the future brings), beautiful mountains, the Pacific ocean, low density but high culture – it is only the cost of real estate that keeps us from drowning in our own smugness. That and the always imminent earthquakes, fires and persistent drought. We cyclists feel especially privileged. All of the above, plus decent roads, varied terrain, a variety of rides to choose from almost any day of the week, sufficient bike shops to cover most of our needs and an avid cycling community make this a great place to live and ride. If the many informal rides available here prove inadequate (Worlds, Vieja Valley Saturday, Echelon, Sunday, Denise's Noon, Saturday Lake), or the ones you put together yourself or with friends, start to get boring there are alternatives nearby. Just in this month or so there are a few notable rides that might test your strength, endurance and capacity to suffer: Westlake Village Century, Barney Berglund Memorial Ride, SB100, Nosco. 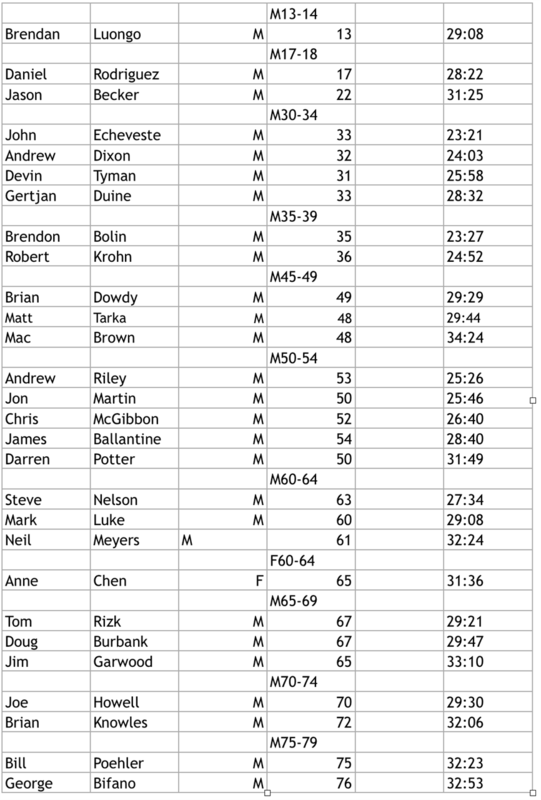 Last weekend (October 3) I tried a relatively new event, the Westlake Village Century. Only an hour's drive or less from here it covers many of the beautiful roads featured the (upcoming) Mike Nosco Memorial Ride (November 3 every year), and the mighty Mulholland Challenge in the spring. Descending Potrero Road, the PCH through Malibu, Encinal, Mulholland, Latigo – some of the best riding anywhere is found in the climbs and descents of the Santa Monica Mountains. The roads are fantastic, the views are killer and the traffic is not bad – especially if you start before 7 am as we did. Registration was easy on the day although for $125 the swag was minimal, as was the one rest stop we visited – the last one at the base of Latigo, had water, pb&j, some kind of bar and a toilet and that was it. I think the other stops were sponsored so maybe they were better. I think for that kind of fee there might be timing; they had a KOM/QOM through Strava – maybe that's the new way. They was SAG by way of the yellow Mavic support motos and cars which was comforting. There was a decent Mexican lunch at the start/finish at the Stonehaus there in Westlake Village, your registration earned you a beer or a wine; they were nice enough to give me a refill! An excellent day of riding, 104 miles of a great course, 9200 feet of climbing, done in just under 6.5 hours in good company. A similar profile to our own upcoming SB100, and a good warmup, though somehow not quite as hard. Sure, I'd do it again, and I hope I'll have a little more company next time! By the time you're reading this the 2015 SB100 (formerly the Santa Barbara Century – same course, new management) will have already happened. I hope the weather was good – you never know this time of year! - and that you all enjoyed this year's sufferfest. No matter how many times you do it, getting yourself over Gibraltar Road is never easy, and when you're climbing it at mile fifty of one hundred and you're wearing a timing chip and trying to do something a little extra for Team Echelon, well, that makes it particularly special. Still, for me, and I know I'm not alone in this, the hardest climb of this very challenging century isn't Toro, or Ladera, or even Gib. It is most definitely that final ascent up Cliff Drive to The Mesa, just before the finish, after the incredibly long drag from Goleta, that makes me want to...want to what? Quitting at mile 99 isn't an option. Makes me want to finish the damned thing, have my beer and bbq and get ready for the next one! See you on the road to hell! Steve Nelson is a not-so-serious cyclist who supports his two-wheeled indulgences by working as a production sound mixer in Hollywood (wherever that may be). If you want to find out what that means get next to him on a ride – he's on the black on white with blue Cervélo. Steve is on the Board of Directors of Echelon, happy to be making Echelon a better club. His latest purchase is a Stinner gravel bike – steel is real..different than it used to be; he is really excited to get out there and get it dirty!